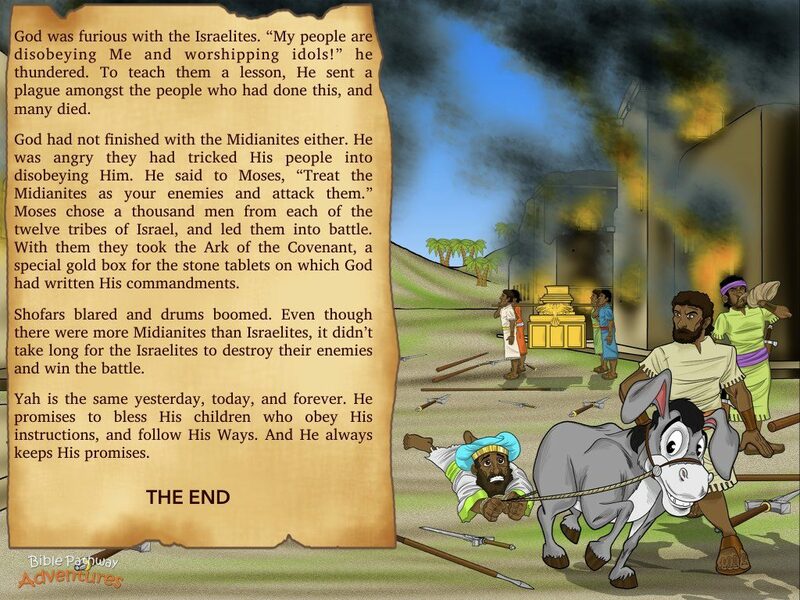 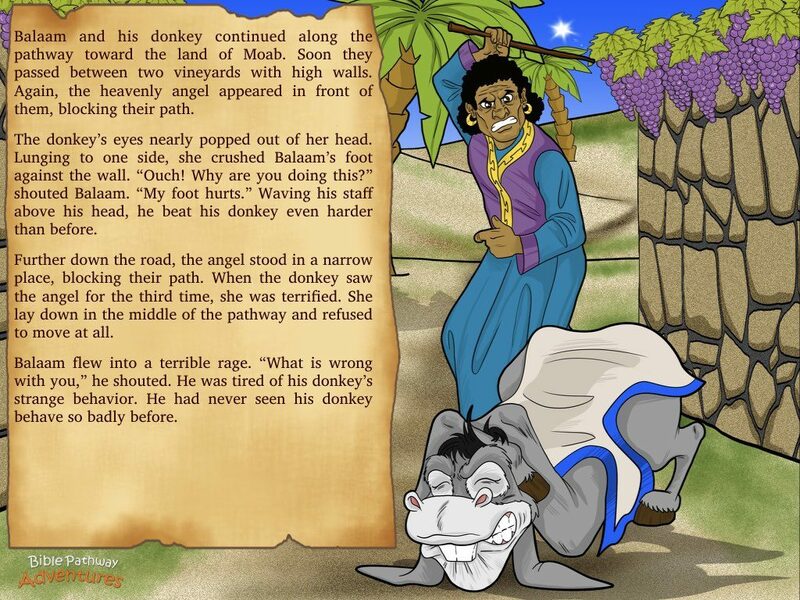 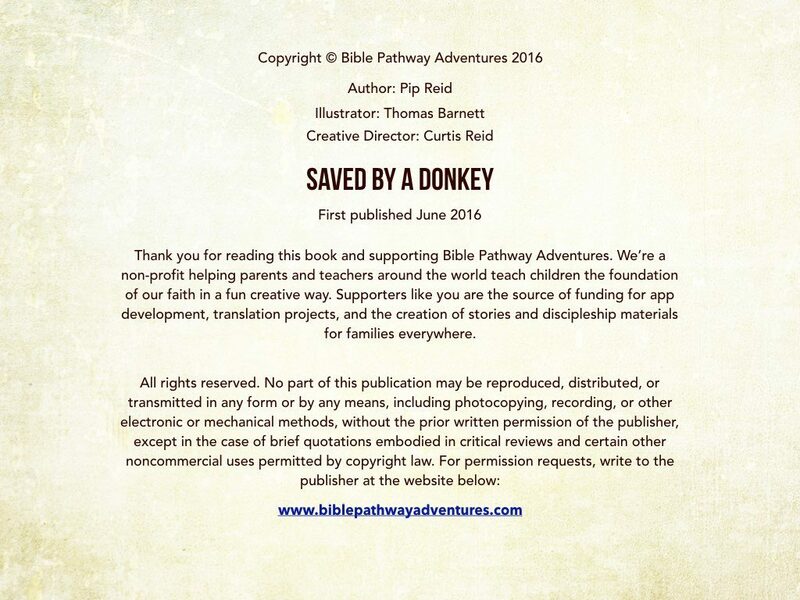 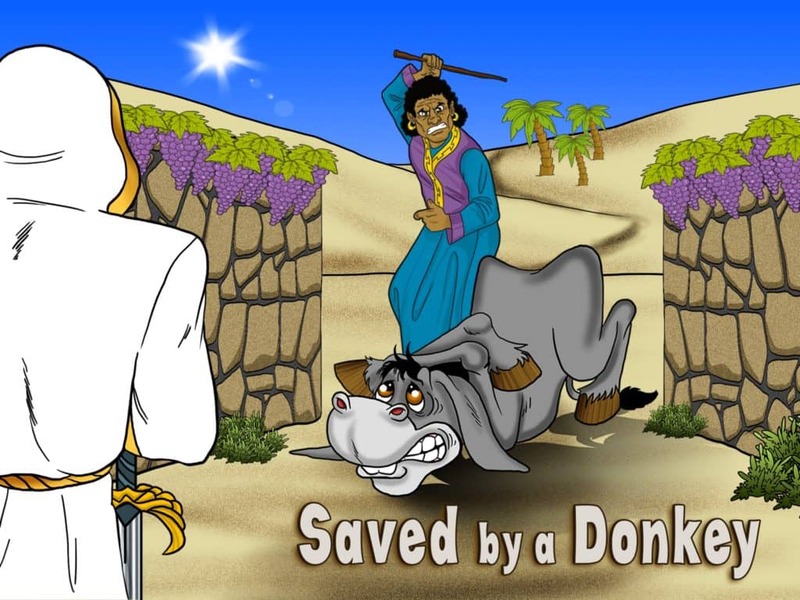 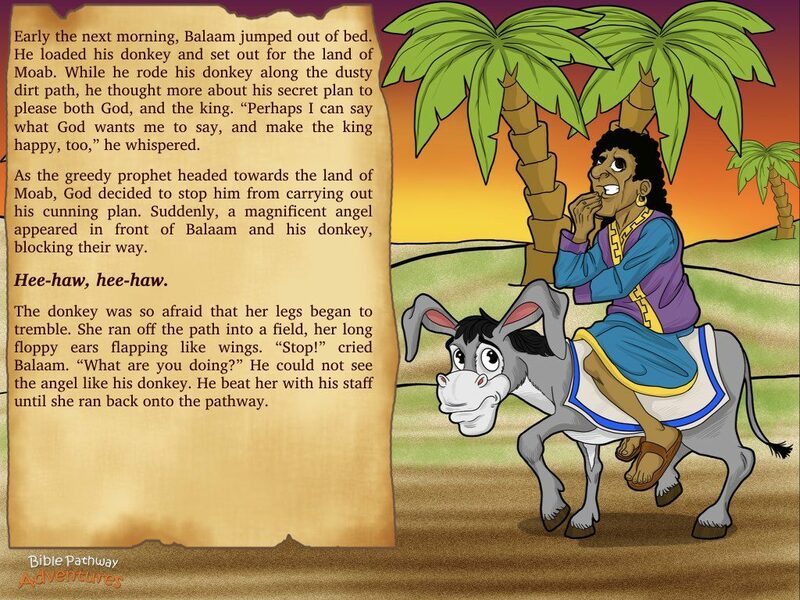 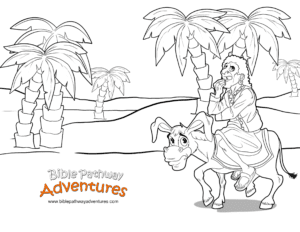 Listen to Saved By A Donkey above and click the next page to follow along using our Storybook options. 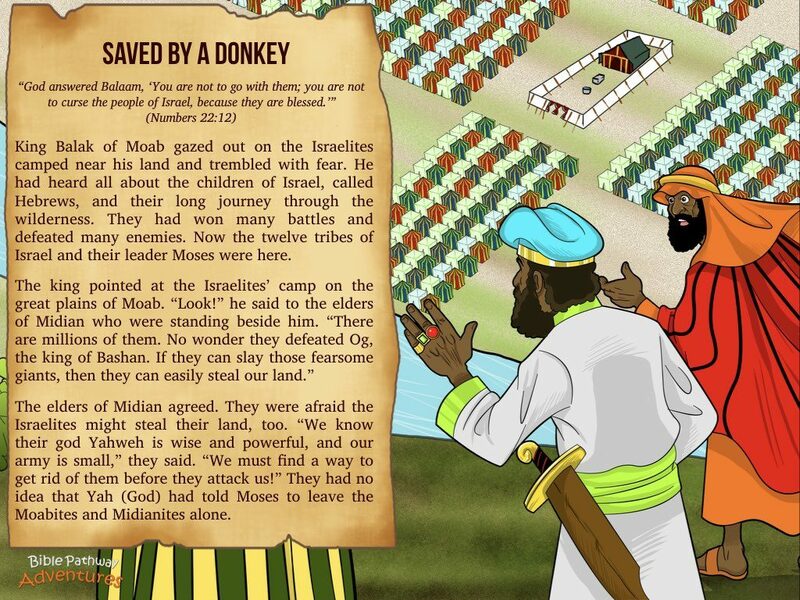 After forty years in the desert, the twelve tribes of Israel near the land of Canaan and camp on the plains of Moab. 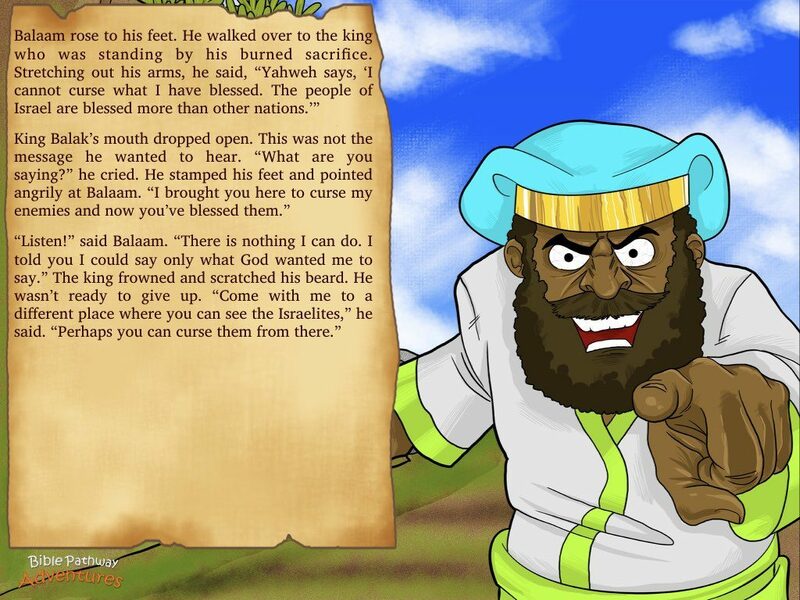 The king of Moab stares at the Israelites and trembles with fear. 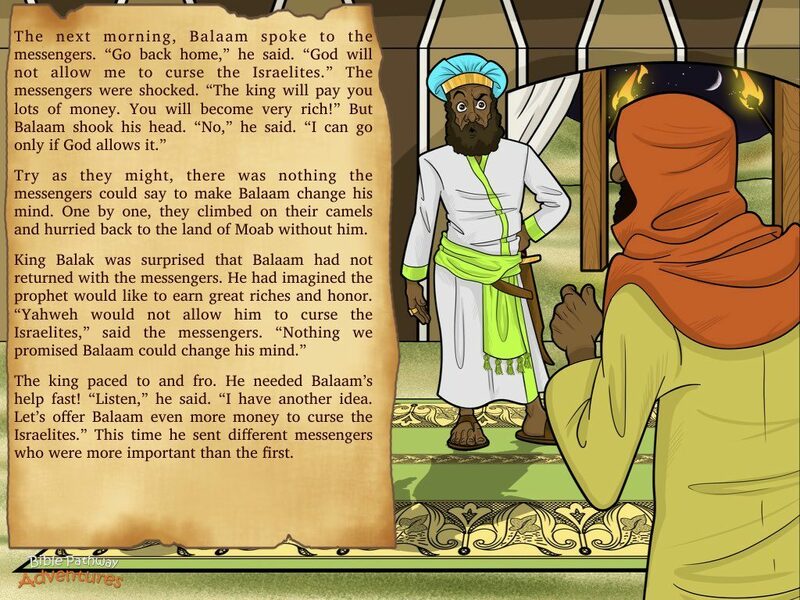 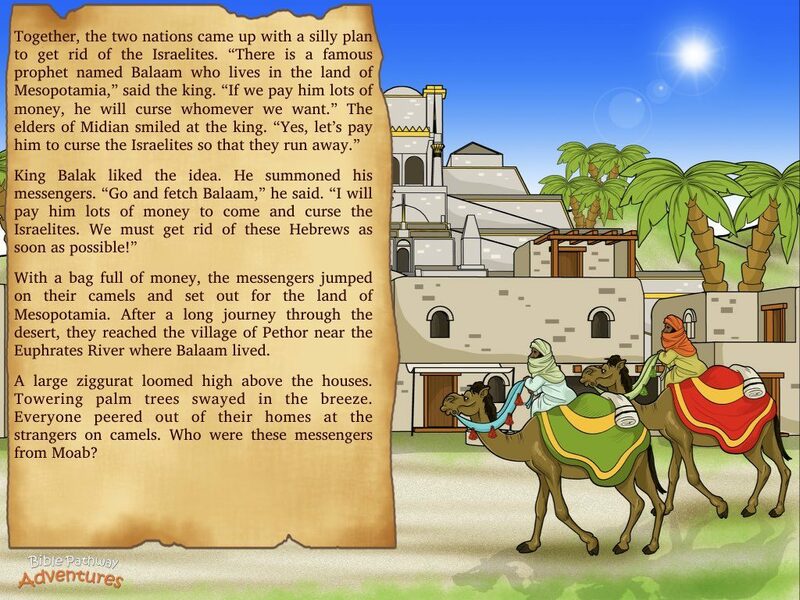 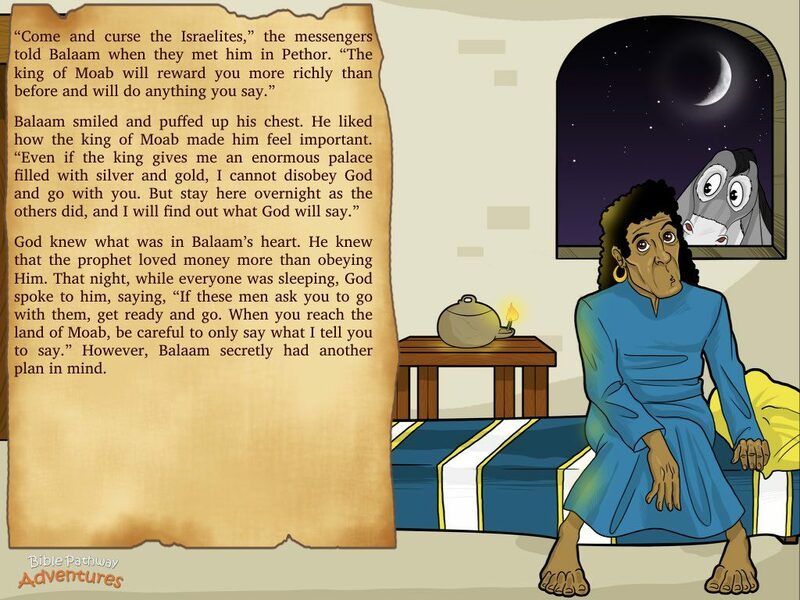 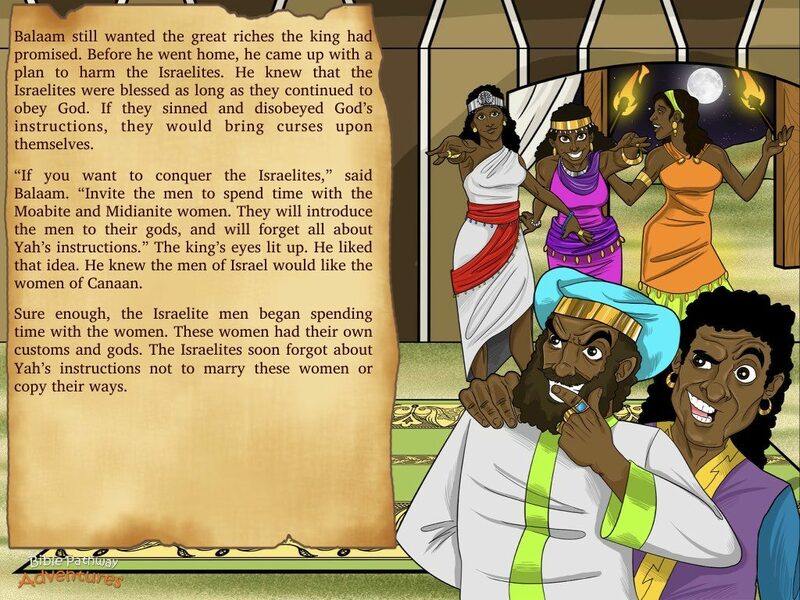 Afraid they may conquer his kingdom, he sends messengers to Mesopotamia offering the prophet Balaam lots of money to curse them. 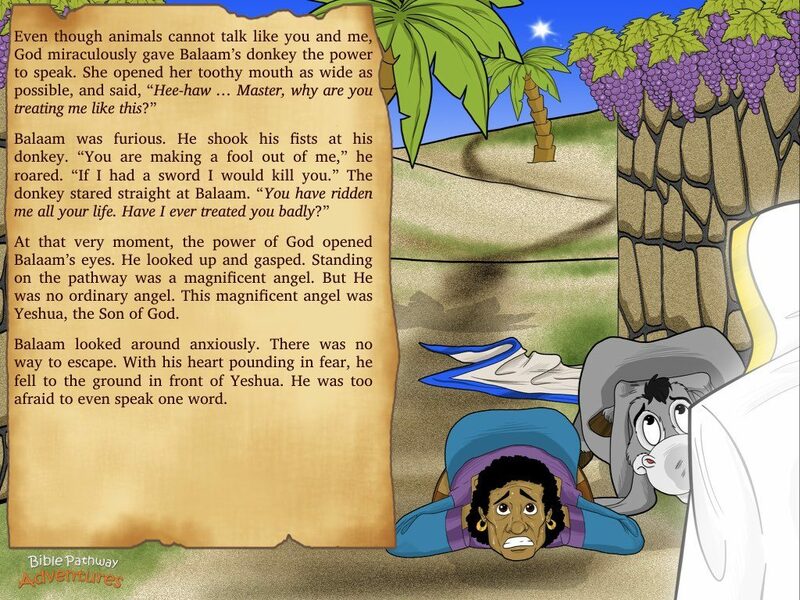 But Yahweh is in control. 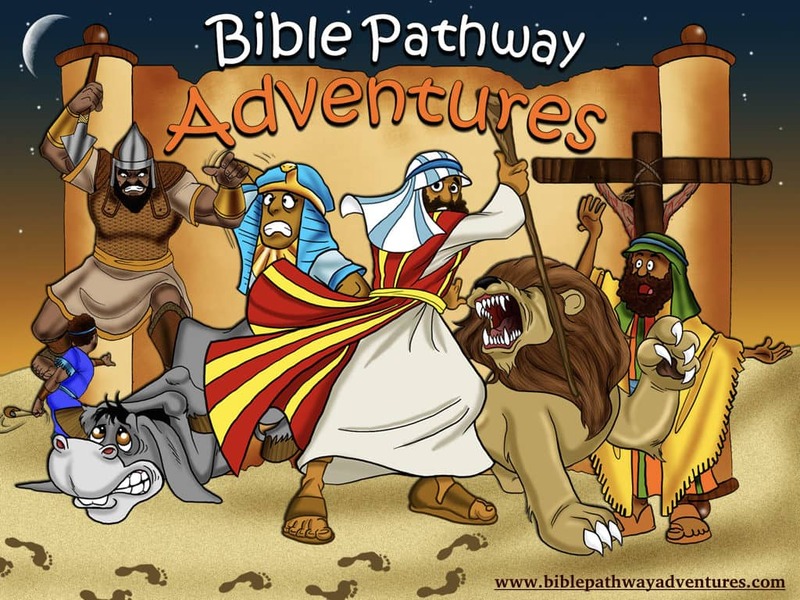 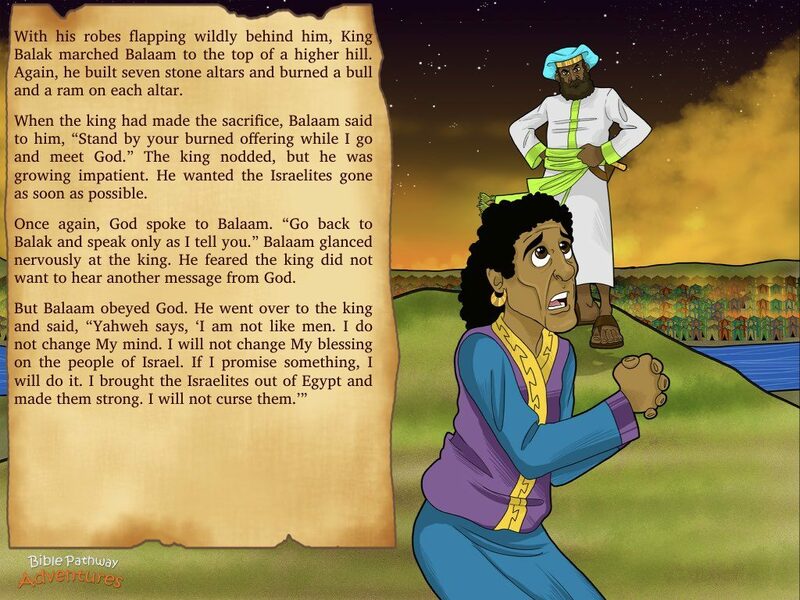 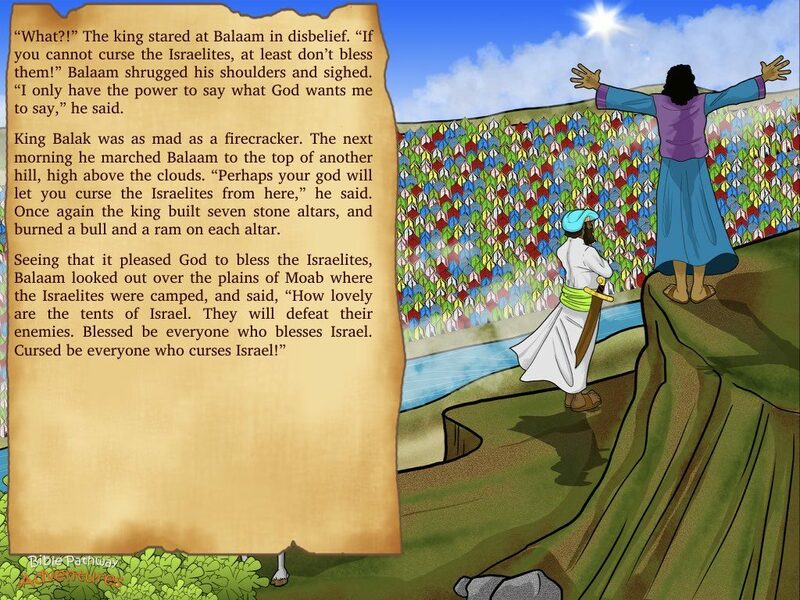 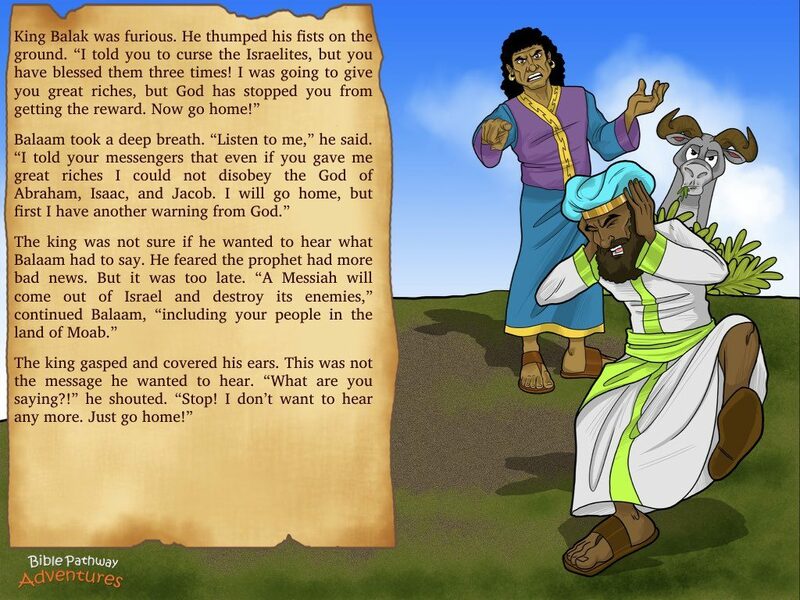 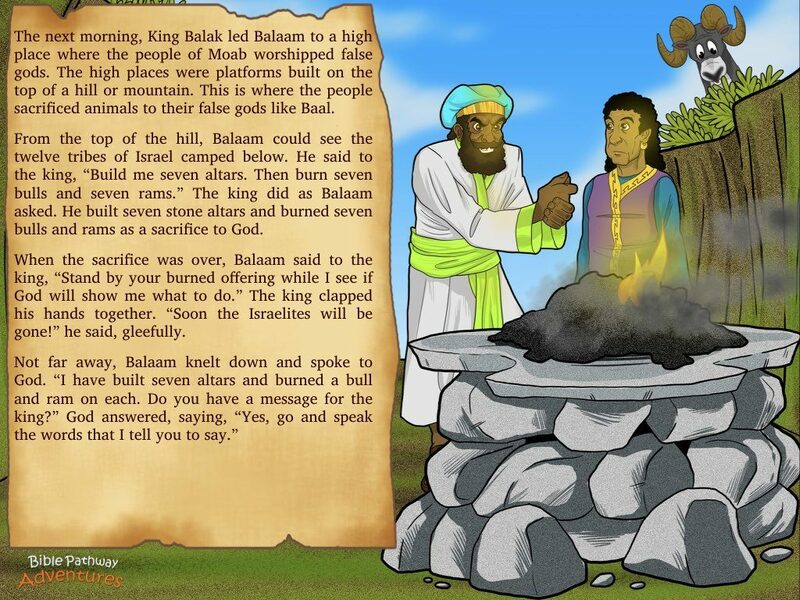 On the way to Moab, the Angel of God (Yeshua) blocks Balaam’s path, forbidding him to curse the Israelites. 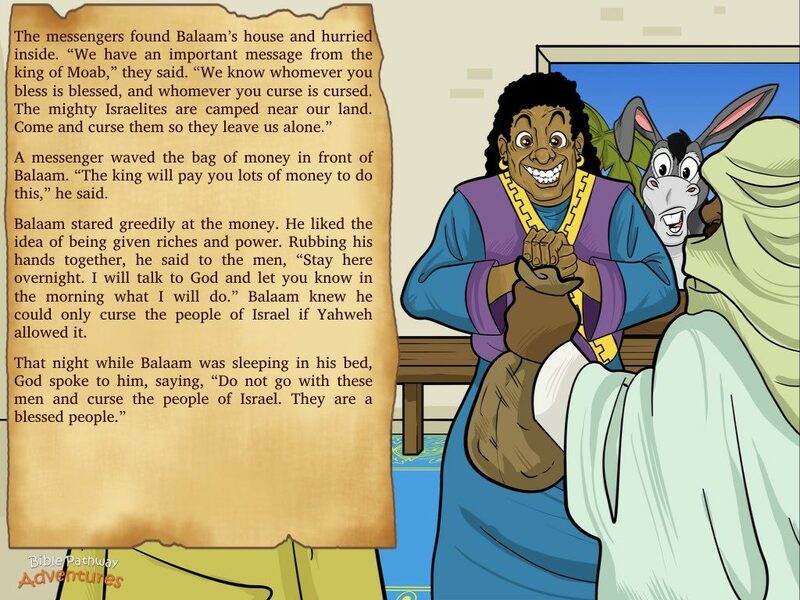 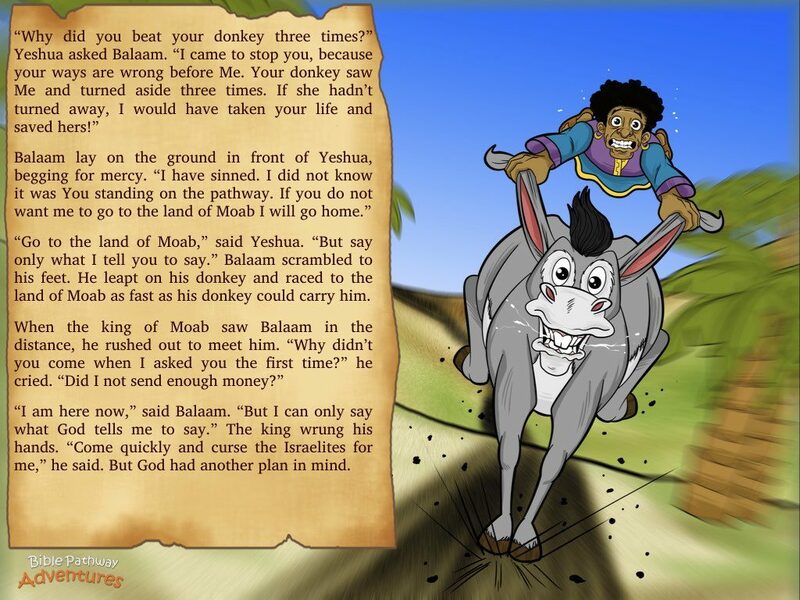 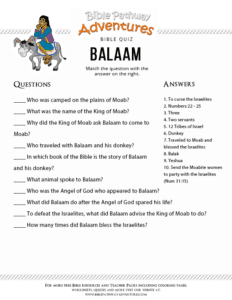 With strict instructions to only say what Yahweh wants him to say, Balaam races to Moab as fast as his donkey can carry him!